Window materials and options have changed a lot over the years as energy codes have become more strict, and as utility rates have climbed. Generically, they are white vinyl double pane windows, usually with a low-e (low emissivity) coating that will help control heat flow in and out of the home. Be aware that there are regional differences and climate zones that help determine what would be a good product for your area. This is best shown as the Energy Star Map. Here in California, the minimum required energy rating is called the Title 24 Section 6 requirement. Most window manufacturers’ meet this criteria because it is pretty easy to achieve these minimum ratings. A savvy dual pane window consumer would be wise to find a window that exceeds these rating for the maximum energy savings. These are most often what a new home builder installs in new residential developments. Often these are ordered as “stock” sizes and are made in bulk, and are installed over the framing and moisture barrier before the final exterior of the home. These windows and doors are typically the least expensive brands and series because builders are selling a home, and the windows are just one piece of a larger home. Often they only carry a one-year warranty as that is all a new home builder needs to have. Typically they are specified with the minimum required energy ratings (Like Title 24) and are built to be a low-cost as possible. Unfortunately, homeowners who have been in a new home after 15 to 20 years will experience numerous problems ranging from difficult operation, locking, seal-failure, and other issues. There has been a tremendous surge in replacing windows in homes less than 20 years old in Sacramento as these cheap vinyl windows are showing their age. Some local manufacturers here in the Sacramento area focus on this segment and produce low-priced windows for the builder market. Homeowners seeking to fix problems should look at quality replacement windows, not the low budget builder-grade windows as they would not really be getting anything better. Looking for a Window Company in Roseville? Good News Home Improvement is your reliable local window replacement contractor. Trusted by thousands of homeowners, we have the ability and skill to make your energy-efficient window and door project as simple and affordable as possible. 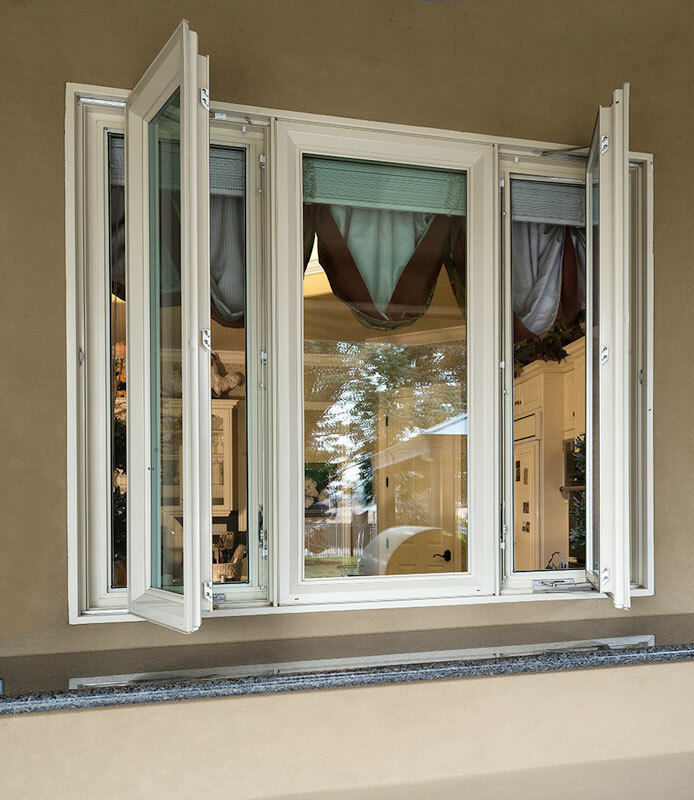 We are an established reputable window replacement contractor offering only the best top-rated replacement windows and doors in the Greater Sacramento Area. Meet with Homeowner to discover needs and offer suggestions. Contract with specifications filled out. Measure existing openings to determine correct sizes, and other installation needs. 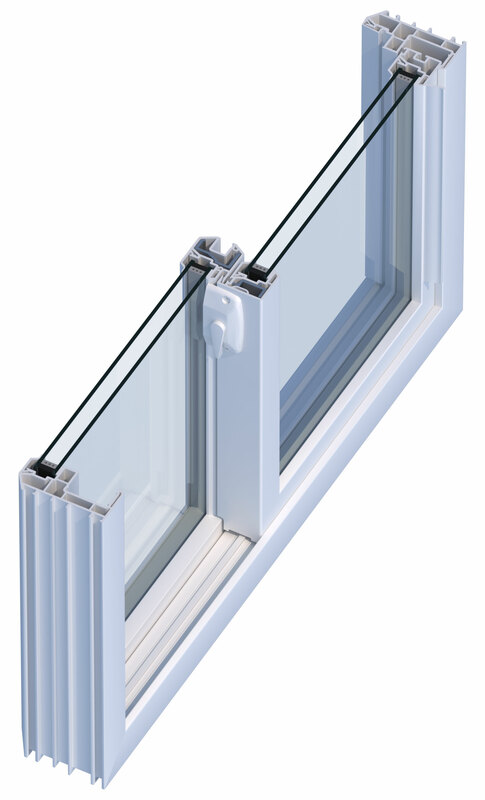 Window order form completed and verified with the window factory. Remove old window sash, glass, prepare the opening for the new unit. Exterior and interior trim and seal as needed for a weathertight installation. Clean up of all job site debris around all work areas. 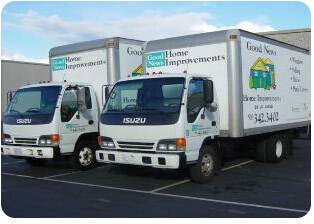 Good News Home Improvements provides great customer service. I had some new windows installed by Good News and the crew that showed up was punctual, courteous, cleanly, professional and quite entertaining. I would use Good News Home Improvements again and again! Thanks for a job well done. At the end of summer, 2017 we embarked on a huge home improvement project. The project included new high-efficiency HVAC, water heater, pool heater, and ALL new windows and sliding doors. Good News Home Improvements (GNHI) was highly recommended to us by the company that we have trusted with all our HVAC work for many years. Boy did they come through! First, the personal attention provided to us by the owner is second to none. He is kind, thoughtful and interested in giving you the product that best suits your needs vs what would best suit his bottom line. Second, the staff he sent to work on our home was efficient, equally kind and personable, hardworking and thorough. We had three sliding doors, 9 giant windows, and various smaller windows. The workmanship is perfection and included trim. Third, the quality of the product is also commendable. I had a west facing window that literally toasted the wallpaper around it, leaving nothing but powder of the texturing. That window would get so hot that you could not open the shutters, or touch either the glass or the metal trim during the summer for fear of burning yourself. The replacement windows are vinyl and specially tinted. What a difference! I have not closed the shutters on the west side of the house since the installation of the new windows (3 on that side). The months after the windows were installed were quite hot this year. Yet, we have not had to run the AC except on the absolute hottest days, and mostly for a quick cool off. But I have not closed the shutters AT ALL! NOT ONCE! Now that winter has set in the above is still true. I can touch the glass and the trim and it is cool, but not cold like the metal trim was in the past. The house remains a constant 68 degrees with very little use of the furnace. I kid you not, I went to pay my gas bill and decided to compare it to a year prior only to find that my bill was $180 less. Yes, there have been many improvements in the efficiency of our equipment, but I truly believe that the windows make a huge difference. If you are considering an investment of this nature, it is well worth your time to speak to Mr. Holliday for an estimate. He is fair and honest and worthy of your business. I highly recommend his business and the work product. I was looking for a window contractor to install new dual pane windows for my townhouse I bought in 2015. My windows were 34 years old. As luck would have it, Brower Mechanical and Good News Home Improvements work hand in hand when you request an energy assessment on your home. Good News HI gave me a really good estimate that included a new construction install on a small entry window and the patio door. I had 9 windows installed and a patio door. I like the Amerimax windows better than the Milgard, etc. that the other companies are using. The installers were Tony, Gary, Victor and Zach. They were such hard workers and very thorough. After my windows were installed, I had Good News HI install two inch wood blinds on my windows and vertical blinds with fabric on my patio door. The installers were Ed Holliday (the owner) and Roger. I've recommended this company to my friends and neighbors. They're very professional and did an outstanding installation job. Needless to say, I'm extremely happy with my new windows and blinds. I am in escrow now and the windows are visible installed improperly. Ed sent out Darrell to give me an estimate. It was a cool experience. I learned so much about the house and although I am not choosing to get new windows installed. I will definitely call back if I need windows or doors installed in the future. I got an honest estimate and lots of tips for home improvement. I would recommend this company to anyone. Thank you Darrell! These guys just installed windows in my home about 2 weeks ago. I got to say that these guys are really good and profesional. When they arrived they got straight to business. They were very efficient and they cleaned up after themselves. So far the windows have been spectacular and look great. Although only time will tell how they hold up for now I have no complaints. The owner is the salesman and I got to say that is the best possible scenario. He was able to give me a price that I couldn't turn down. He made me feel comfortable and not pressured. Overall the experience with this company is flawless. I would definately recommend these guys to friends and family. If I had to do it again they would gave my business. Five stars, no doubt. We received a consultation from Brian at Good News. He followed up with us regularly and made the window process a very calm and educational one. There was no high pressure and he felt like he genuinely cared that we end up with a product we were happy with. We ended up going with another company based on price because we had very specific needs on the window we wanted and the larger company could get a better price and provided equally excellent customer service. I do believe if we wanted the same window that is made specifically for GNHI - which is an excellent window and highly rated by window professionals- we would have been happy with the window and install. He really was willing to bend over backwards to make our situation work. But in the long run, making payments over time, every penny counts. I didn't get any work done by them, but I found them on yelp after my lawnmower kicked a rock or dirt clod into my glass slider, which didn't completely shatter the window, but got it spidering and it had been spidering for 15 minutes or so. They advised me to get to home depot to buy a plastic film (told me what to look for) so that if it did shatter, it wouldn't go all over the place. second, they told me that all i needed to do was replace the glass and not the entire door. they only do entire doors, so they gave me a few numbers of glass repair people to get me started. In my opinion, great customer service for spending a few minutes on the phone with a caller that they knew would have no immediate work for them right off the bat. If I ever need windows replaced, they will be my first call. After waiting for the longest 6 months of my life to move into a home that was being occupied by the previous owners (it was part of the agreement to sell to me a Rent Back), I was horrified at the conditions my home was left. The windows and doors were rusted, busted, and completely neglected!!! With all of the rain, the carpets were soaked and disgusting because of the nasty doors and windows. Not to mention, mold EVERYWHERE!!! I was absolutely mortified and knew that there was no way I could move in my personal belongings. After reading so many reviews on Yelp, I decided to contact them to see if they could help. Let me just say that God sent these angels immediately to help me in my hour of need. The staff was amazing and pleasant to be around. Top notch work, and the pride that all of the members at Good News have in their work is without question. I've already referred my sister and neighbors to them. May God Bless you All. Thank you guys. This is the second home I have used Good News to install my windows and I am just as happy about choosing them this time, as I was the first time. Love the product and they look beautiful! The two guys they sent out, Anthony and Tony were both polite and excellent workers. If you need windows, give them a call, you will find that the cost is the most reasonable for a quality product. Thanks guys, I'm very pleased! We replaced all the windows in our house through a SMUD energy efficiency program, and Good News did a fantastic job. There was no high pressure sales pitch, and Ed really listened to what we wanted as far as the look of the new windows. When the time came to sign the contract, it was discovered that three of our windows would have to be completely refitted. Good News immediately took responsibility for the mis-measurement and ate the extra cost-we didn't even have to put up a fuss. The windows were installed in three days, and they are BEAUTIFUL. I would absolutely recommend Good News to anyone in the area who needs new windows for a fair price, with fantastic customer service. In 2009 and had all of the windows and a sliding glass door replaced on a two story home, including the sliding glass door. I had three proposals for replacing the windows and chose Good News Home Improvement and had a wonderful experience with them. The owner was very knowledgeable, courteous, and provided helpful recommendations without any sales pressure. He also walked me through everything step by step to ensure I did everything needed to maintain the warranty on the windows. Three of his employees installed the windows and were also very courteous, answered any questions I had, and gave tips on some other remodeling tasks I had underway, and they did a great job. I've had other contractors leave behind nails, garbage, etc. in the past and these guys did a really decent job at not leaving anything behind. The owner followed up later on to ensure I was happy with the product and the install. The only complaint, and it isn't really a complaint, is that I did not want to have the very large sliding glass doors, but wanted stationary windows and french doors to the back porch--the owner explained that they did not make windows and doors that would fill the space left by the existing slider and that doing the framework needed would put me over my budget. He did provide some slider replacement options that had more of the look I was desiring. Several months later I was at a neighbors house and noticed they had installed something very similar to what I was asking for when they replaced their slider and it didn't appear additional framework needed to be done, but I have zero construction experience and I am happy enough with the slider replacement to not do the research; lesson here is don't be afraid to ask or be pushy if you really want something. In November 2011, I received three bids to replace 5 windows in my home. All three gave a good presentation but Chris with Good News Home Improvements was the best. He explained how the windows worked and how they would be installed. There was no high pressure and no "if you sign up today" kind of thing like the other two companies. The windows were install in two days only because some dry rot was discovered and a portion of a wall had to be replaced with new sheet rock, tape, etc. When I learned about the dry rot I thought I'll bet here is when the price goes way up. I was shocked and pleased when the additional cost was much lower than I thought it would be. If there had been no dry rot, the windows would have been installed in one day. The installers did an excellent job and the wall repair was perfect. The work areas were covered and there was not a speck of dirt or debris left when the job was finished. I would recommend Good News Home Improvements to anyone. I will be having the rest of my windows replaced later this year. Edward is amazing. He is quick to respond and is a great wealth of information. He knows what he's doing! I cannot say enough about the quality and professnalism of Good News Home Improvement's work. Ed and his team have installed two sets of energy-efficient windows in two of our homes in the last four years, all with excellent results and at a very competitive price. Coupled with the great service and excellent work, they present an outstanding value. Their workers are not only good, but they are very friendly and courteous, as well. A previous contractor had left part of a wall rough and unfinished after installing a bath vanity and Ed's workers went ahead and cleaned up and refinished that surface, all on their own initiative and desire to be helpful and go the extra mile! It was a nice surprise to come home to, over and above the stunning French doors they had installed. Are we sold on theses guys? HELL YEAH!